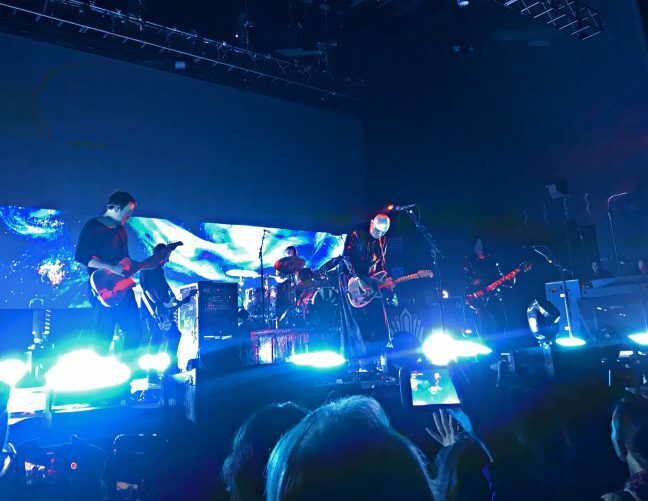 The Smashing Pumpkins just finished up their “Shiny and Oh So Bright” reunion tour at the beginning of September, but it seems the band had so much fun playing together again, they didn’t want the journey to end there. Just three weeks later, the band announced they were going back on the road for a mini-tour to celebrate their 30th anniversary. The band kicked off the tour Wednesday night by selling out Madison’s newest venue — The Sylvee, which didn’t seem a coincidence. 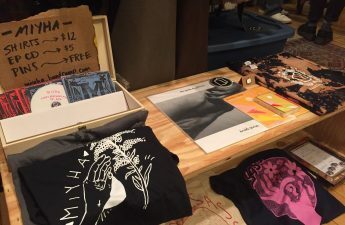 The band recorded their first demo record, “Nothing Ever Changes” (1988), as well as their first official album, Gish (1991) at Smart Studios in Madison — Billy Corgan even made a sentimental Instagram post about their ties to the city in anticipation of the show. The Pumpkins’ lineup has changed several times since 1988 when frontman Billy Corgan on lead vocals and guitar, bass guitarist D’arcy Wretzky, guitarist James Iha and drummer Jimmy Chamberlin formed the band. Currently, the band is touring with all its original members except Wretzky, who, amid controversy and tension between her and Corgan, is infamously not making any appearances. Instead, on bass for the tour is Jack Bates, the son of Peter Hook, bassist of Joy Division and New Order. Guitarist Jeff Schroeder has been with the band since 2007. Wednesday night started on a transcendental note with Drab Majesty, a project from LA-based musician Andrew Clinco. While performing as Drab Majesty, Clinco becomes Deb Demure, an androgynous alter-ego. Watching this duo on stage is probably what it would be like if space aliens descended from the sky with guitars and synths. Their avant-garde presence was embellished by their matching platinum bobbed wigs and black goggle-like sunglasses. Accompanied by Mona D on the keyboard, this duo produced blends of 80s New Wave with a futuristic twist. 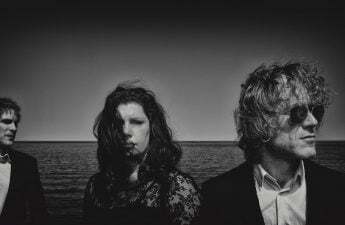 The audience chilled out to a mesmerizing set of reverb-drenched guitars, droning bass, bright ethereal synthesizers and daunting vocals similar to Robert Smith. 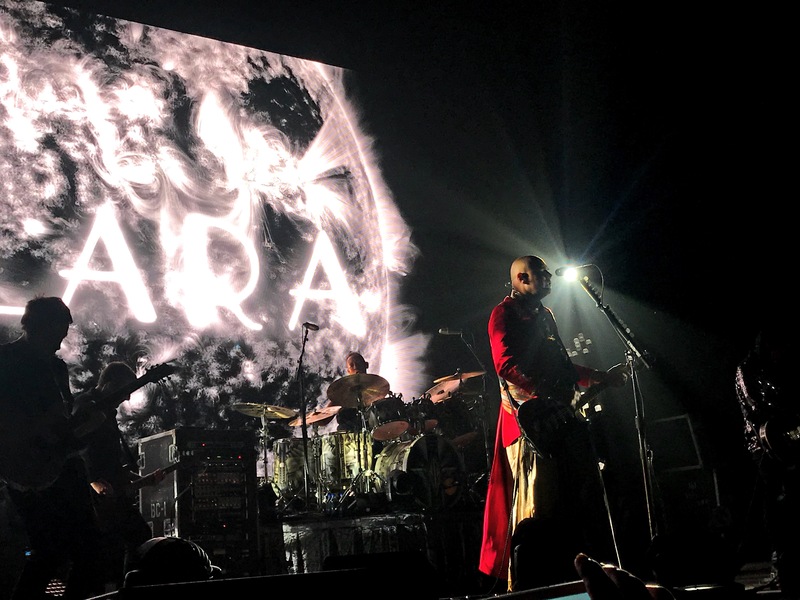 The Smashing Pumpkins set kicked off with the powerful leading single, “Solara” from their newest 2018 record, followed by “Zero.” A surprising, toned-down cover of Depeche Mode’s “Never Let Me Down” that they performed in 1994 made a reappearance, as well as a cover of The Cure’s “Friday I’m in Love,” sung by Iha while Corgan made his first costume change out of three for the night. The peak of the show came as they performed the nearly ten-minute grand opus, “Porcelina of the Vast Oceans.” The atmosphere created could only described as intoxicating, as the beautiful wall of guitar sound accumulated and drenched the room. Overall, the show had a decent mix of new and old material, only about one-third of the songs coming from albums that were released after the ’90s. Considering most people tend to prefer the old classics that they grew up listening to from more critically acclaimed records like Mellon Collie and the Infinite Sadness or Siamese Dream, the new material seemed to hold up well with the audience that had an average demographic of people over the age of 30. Maybe it’s because Corgan and the rest of them seemed to be really having fun on stage and as a concert-goer, that comes across. To be brutally honest, most of us are just here to watch them play the songs we know and love and get warm and fuzzy feelings from the first time we heard “1979.” Nevertheless, we die-hards were here for the weird B-sides that we spent too much money on, and we’ll stick around for whatever Corgan’s vision is now. As fans and followers, we are rooting for The Smashing Pumpkins to find their groove again. To be honest, we’re just happy they’re getting along.